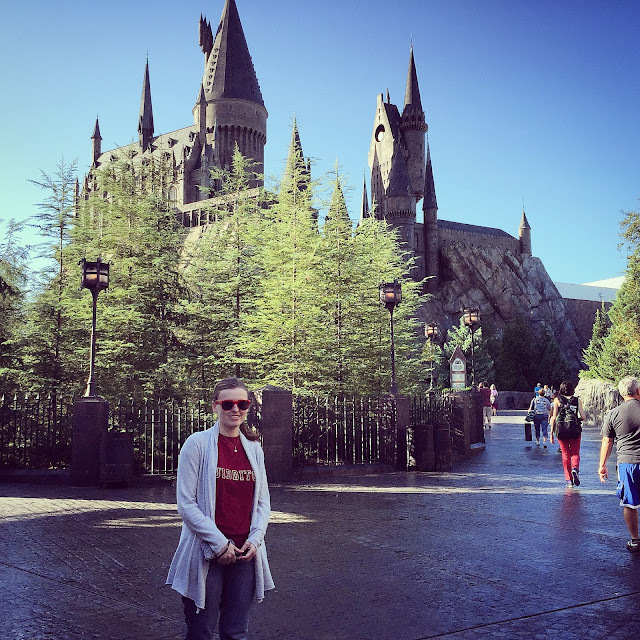 I meant to write this post many, many months ago, but at the time life was very busy and I just never got around to actually going through the TONS of photos and video taken when I went to Orlando and visited The Wizarding World of Harry Potter. Let me just say right off the bat - the best time to go here is the first week of December. The place was practically empty most of the time. We barely had to wait in any lines, even though we did have fast passes for everything since we stayed in one of the on-site hotels, which I do still highly recommend, particularly if you are going to visit the place in one of the busier times of the year, as you get both early admission and unlimited fast passes with your park tickets (double check this, as it may only be at certain on-site hotels), not to mention you can take the water taxi to and from your hotel right from the entrance of the park. Hogwarts Castle! And yes, I AM wearing a Quidditch T-shirt. 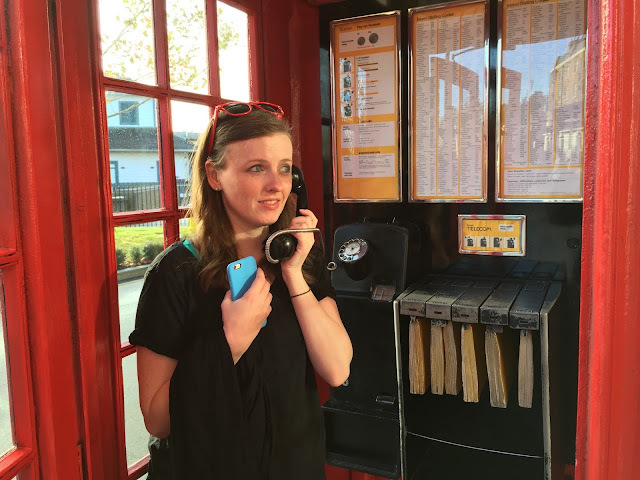 If you're going to go to the trouble of going all the way to Orlando to visit the park, you definitely need to do the park hopper to get the full Harry Potter experience. That's right, the two sides of the park are in the two different Universal parks, which means a hopper is necessary if you want to visit both Diagon Alley and Hogwarts/Hogsmeade. If you can only afford to pick one of the two, pick Diagon Alley. It's so much more entertaining than the Hogsmeade side, and honestly makes you feel like you are right in the books/movies. I was in full on HP awe in Diagon Alley, it was that good. Obviously there are a bunch of tourists rather than witches and wizards milling about, but dang, it's still so cool. The attention to detail is really just amazing. Where you enter Diagon Alley (from inside DA). 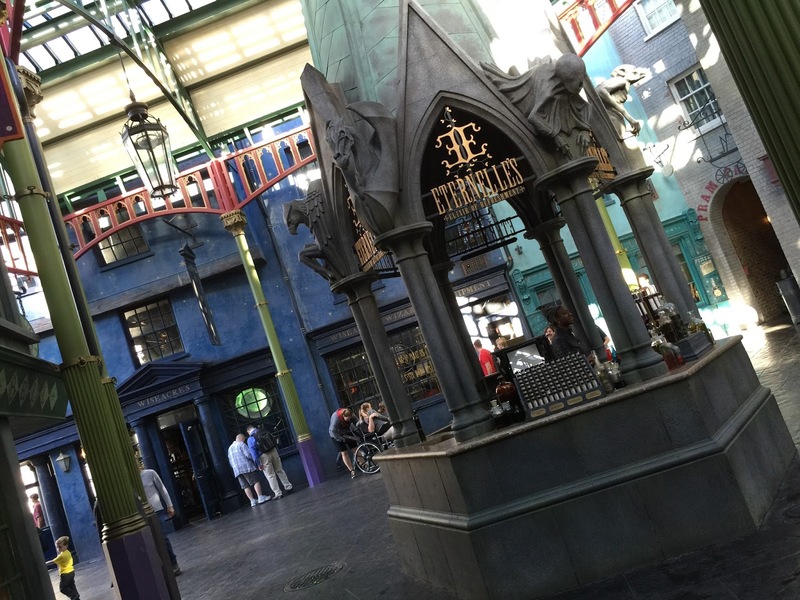 Harry Potter and the Escape from Gringotts - In Diagon Alley, this is the main event ride. Really, it's the only ride. There was an area where it looks like they could expand and make another ride, but for now this is the big one on that side of the park. What makes these rides so cool is how much detail is put into all of the stuff you see while waiting in line. 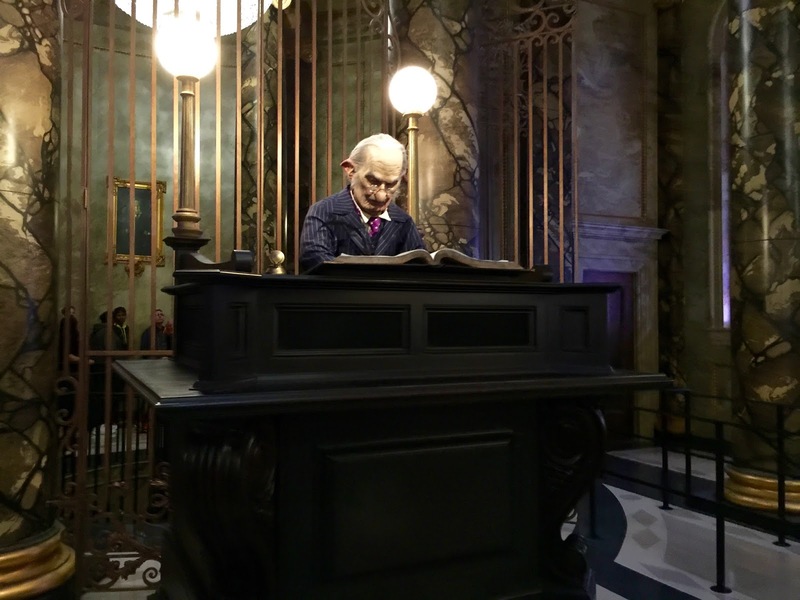 You go through Gringotts bank, down into the tunnels, seeing all kinds of cool stuff. I don't want to give it all away, because you really should experience it for yourself. The ride itself is fun, but is mostly the type of thing where you are watching holograms. How they combine the video with the background is pretty cool, and although I felt nauseous on some of the other rides incorporating that sort of thing, this one I was perfectly fine on. The Head Goblin as you wait in line for the ride in Gringotts. Hogwarts Express - You simply MUST ride the Hogwarts Express over to Hogsmeade if you want the full experience. It's a full-size train that you enter as if you're at King's Cross station in London, and while you're on the train you get treated to some more video through the windows, but it's all well done. You can also ride this back from Hogsmeade, and it gives you a different experience. Definitely recommended going both ways. 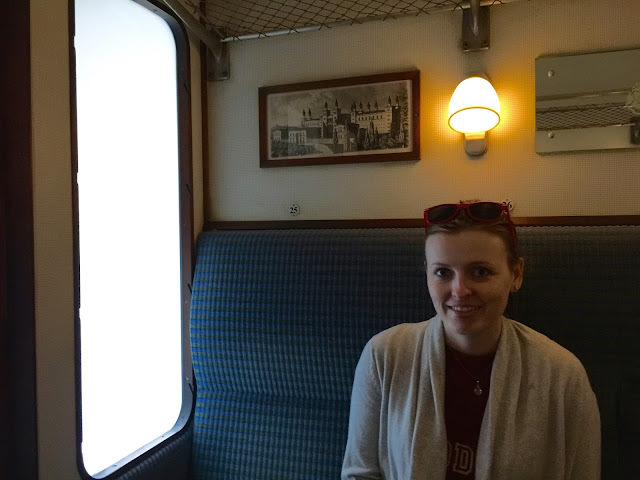 On board the Hogwarts Express. Harry Potter and the Forbidden Journey - Full confession: this ride made me super nauseous. I didn't used to be the type who would get nauseous on rides, but this is a lot of jerking around in front of another screen, and during this trip that really got to me. It's a shame, because the ride itself is pretty cool. You go through various parts of Hogwarts, play some Quidditch, battle dementors and Harry Potter himself makes an appearance. You also get to walk through Hogwarts while waiting in line, which is half the fun. Passing by the Sorting Hat as you make your way through Hogwarts. Dragon Challenge - I'm told this used to be a ride at Islands of Adventure before Harry Potter took over, so they just kind of incorporated this ride into the whole motif. 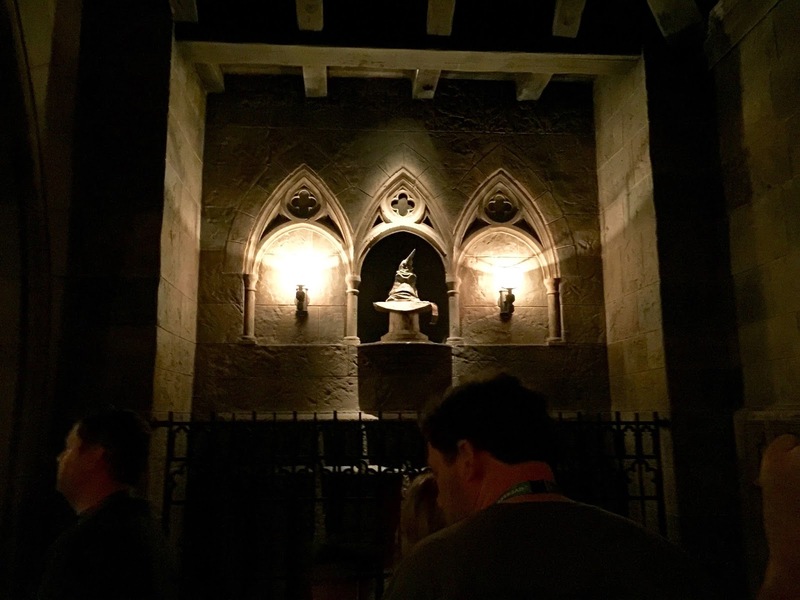 So, the ride itself is a fairly simple roller coaster where you are riding on a dragon, but the line up to that point is, again, full of fun HP memorabilia, as you pass various items as if you're entering the TriWizard Cup. 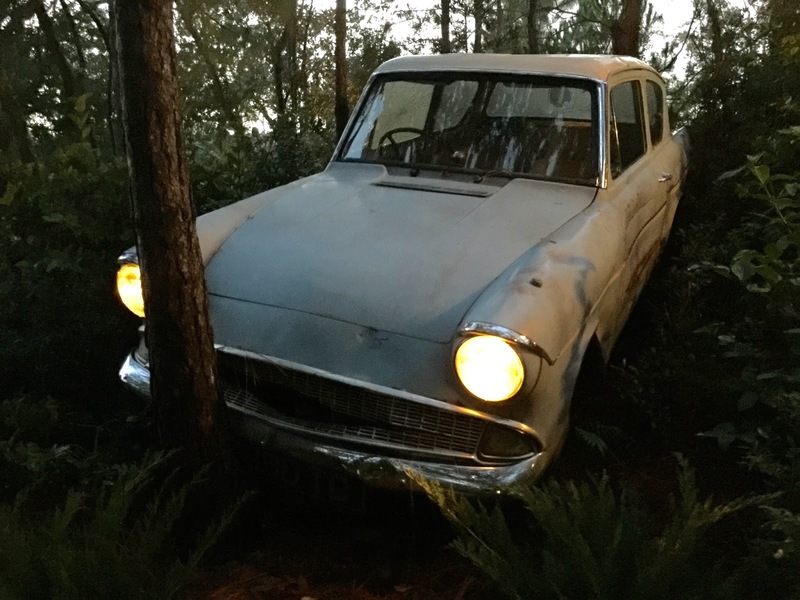 On your way through the line, you find the Weasley car. Flight of the Hippogriff - To be perfectly honest, I don't even remember this ride. We went on it, but apparently it is very much not memorable! Ha. Honestly, I was wondering if somehow I had missed it. So, there's that. I don't even have any photos from in line! Butterbeer - Butterbeer is hard to describe. It's lightly carbonated, so it has a bit of a fizz going on. I'm not sure that I was a very big fan of it, to be honest. It leaves an odd aftertaste. 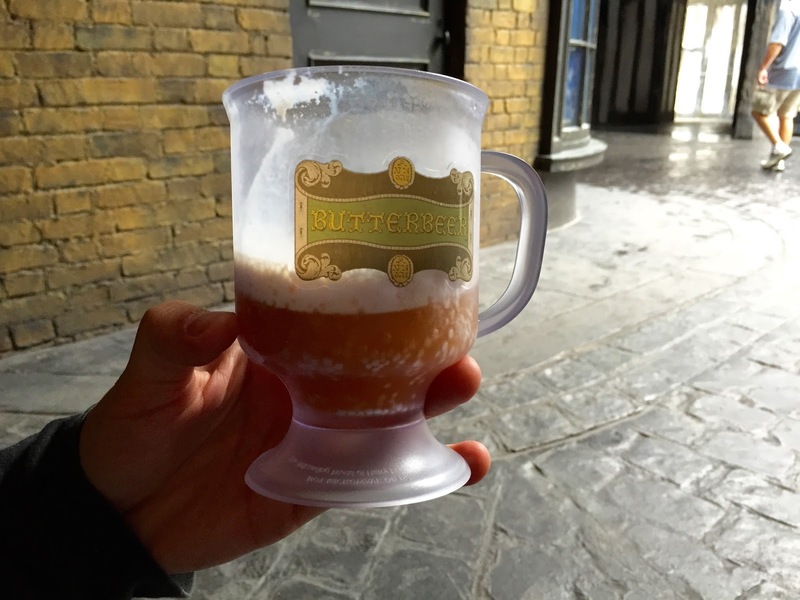 BUT, the Butterbeer ice cream? Now THAT is good. It's softserve, which I found surprising for some reason, but was delicious. The lines for the ice cream can get pretty long, so be prepared for that. I didn't try the frozen Butterbeer, which may have been a better option than just the straight up variety. You do get a fun mug to keep if you want to spend a little extra! Pumpkin Juice - The Pumpkin Juice comes cold in pre-packaged plastic bottles with a pumpkin on the lid. It's super sweet, and definitely appropriate for the holiday months when pumpkin flavors are everywhere, as it has all of the spices you'd expect in pumpkin baked goods in it as well. It got a little too cloying for my taste after a while, but it was still good. The best picture I have of the Pumpkin Juice, ha. This was in Citywalk at the end of our trip. I was exhausted! 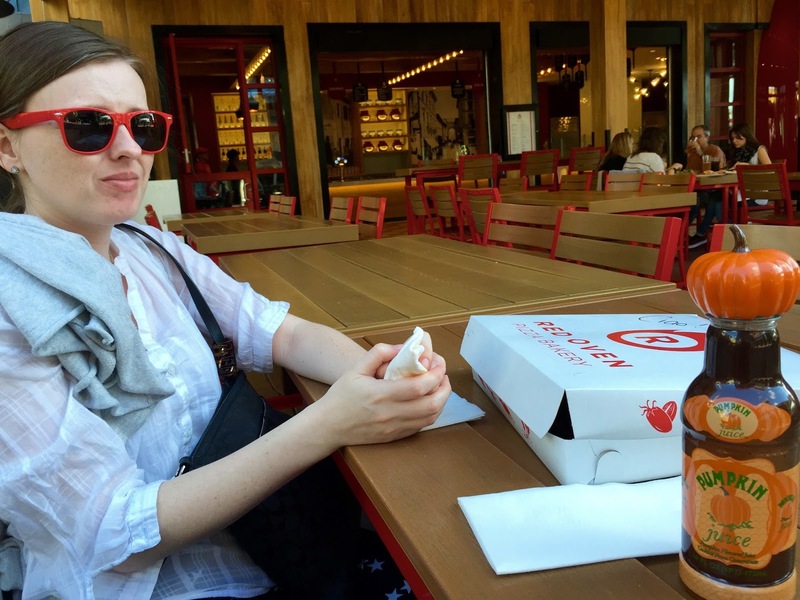 Alas, we did not eat in any of the HP-themed restaurants. I did sneak a peek in all of them, but we were trying to save money and they weren't the cheapest places to go for food. They did all have super fun decor, of course. Next time! The Three Broomsticks in Hogsmeade. If you're a Harry Potter fan, you really should go visit. It honestly feels like you've stepped right into Harry Potter's world. 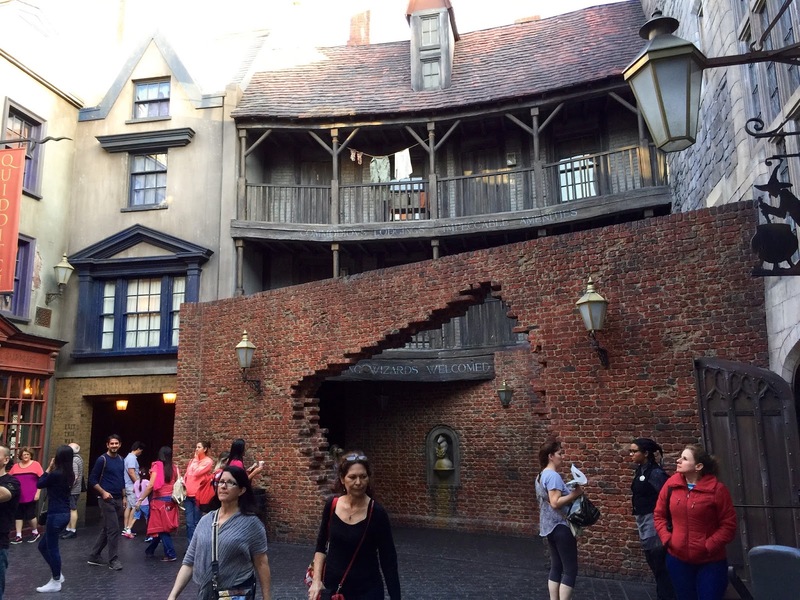 They're building the Hogwarts/Hogsmeade side of the park at Universal Studios in Los Angeles, but you really should go to the Orlando one if you can so you can do Diagon Alley, which is so much cooler than the Hogsmeade side. Almost all of the shops are open and have stuff in them, from Madam Malkin's, to Weasley's Wizard Wheezes, to Ollivander's, and more, whereas the shops on the Hogsmeade side are basically just two things - the candy place and Ollivander's. Not sure how they will be doing it in LA, but I doubt it will be nearly as expansive, just due to space limitations. Calling up the Ministry of Magic in London. We also did not do the whole wand experience portion of it all, though I'm sure if you're a kid that would be fun. Basically, you can go to Ollivander's and get your wand that is special to you (I think the only do this for kids), then take that around and, in certain spots, wave it a particular way and say the incantation, and magic will happen. It's pretty fun, but we didn't think it was worth spending the money for something that would then sit around at home. The attention to detail is really quite amazing. If you have any questions about anything specific that I might have missed, ask away in the comments and I will do my best to answer! 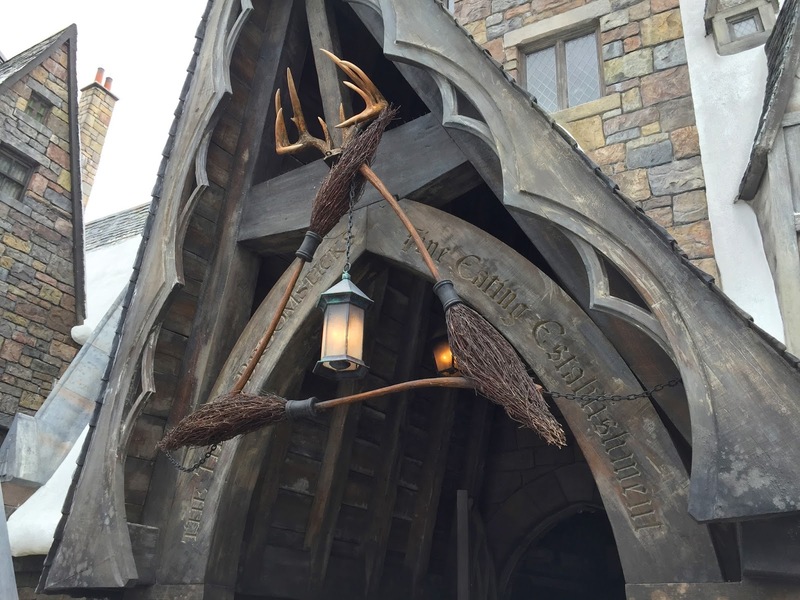 Hope you enjoyed the look inside The Wizarding World of Harry Potter!